The SMART is a premium class device that offers you more mobility due to its compact dimensions. With 70-150 needle insertions per second and 19 needle formations to choose from, this small but powerful device is ultra precise. 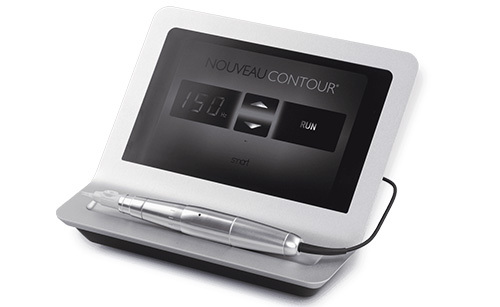 Which makes Nouveau Contour SMART a clever choice for all micropigmentation procedures, such as eyebrows, eyeliners and lips. Be clever, choose Nouveau Contour SMART!